Known to many as Jesus, bestselling author Kaarin Alisa began her relationship with Yeshua as a child, and over the years she has honed the ability to interact and collaborate with him through both her own personal development and her work with others seeking guidance. Kaarin is a catalyst for spiritual growth and personal transformation. 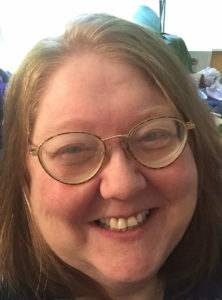 She has honed her abilities as a change agent in the metaphysical and energetic arts for more than forty years, practicing as a spiritual adviser, clinical hypnotherapist, teacher, and energy practitioner. She has helped people from all walks of life realign to their highest truth, so they are better able to pursue their dreams and ambitions. 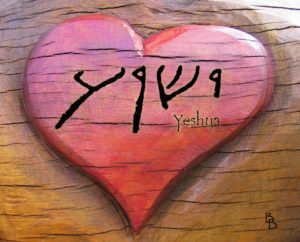 “My name is Yeshua, though you might call me Jesus. I was born in Galilee over 2000 years ago by your calendar. I was born from the womb of Mariam, whom you might call Mary; raised by the loving and wise hands of her and Yosef, my adopted father, whom you might call Joseph. “Born into the royal family David of antiquity, I was raised with a measure of comfort. Also born into a Nazorean community, a splinter of the Essene, a then accepted sect of Judaism, I was raised with great attention to my spiritual attainment. “Most importantly to this story is the very real, very human life I led that took me from a knowledge-starved boy, to an eastern adept, to a leader of my people in thirty short years. It is the humanity of my story I wish to share with you. The joys, the pains, the triumphs and the pitfalls, all of which I very humanly lived. It has been a full and rich life. “If you come to this story not knowing much of me, I promise you a tale of a life well lived and filled with adventure, drama, and mystery.